As a child I loved jub jub. This is what I knew as a snack long time and not the artificially flavoured stuff we call now-a-days as snacks. 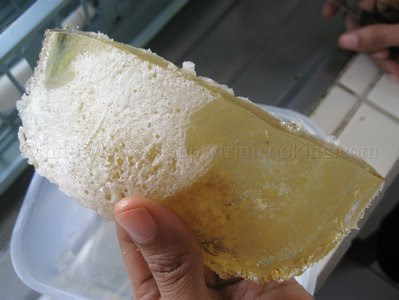 We enjoyed red mango, toolum, preserved fruit candies, sugar cake… they were all sweet and delicious. They did not have that high fructose corn syrup in them, or a lot of long name additives, food colouring and preservatives (although the red mango had food colouring). However, the food colouring was not in every snack. For this reason, while growing up there was never more than two fat persons in my class. Strange don’t you think? We had all those candies and stuff, but there wasn’t much fat people around. Just a thought. This recipe is simple and straightforward. Also, you can substitute the pineapple with any other juice of your choice. You can also add mint to the juice if you like. It’s up to you, but please there is no need to add food colouring to this snack. Coming to think of it, it may be a little weird really to taste a blue jub jub with an orange flavour lol!! Here, is pineapple jub jub. 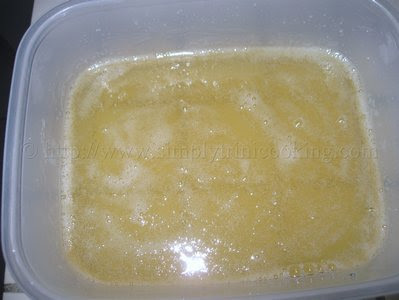 Soften the gelatin in 1/2 cup of the pineapple juice. 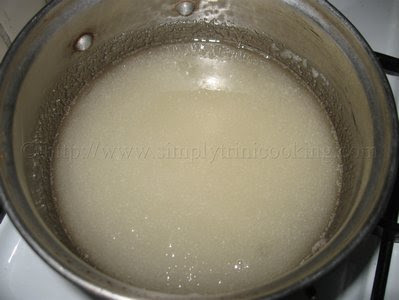 Boil the sugar and the remaining 1/4 cup of pineapple juice into a syrup. 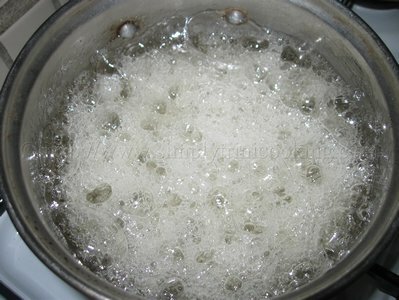 Boil until the syrup can form long thin threads. 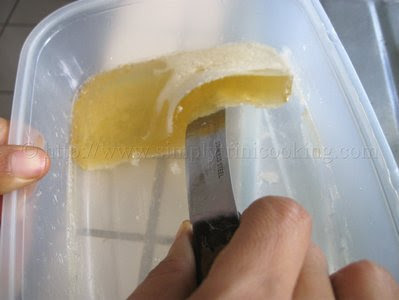 Remove from heat and stir into the gelatin and lime juice. Mix well. Let it stand for about 4 hours. I started cutting strips out of the tray. Start with a knife. 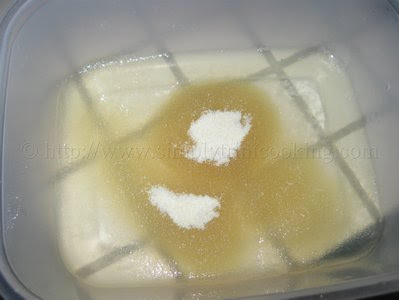 Note, some sugar crystals may have settle to the bottom. 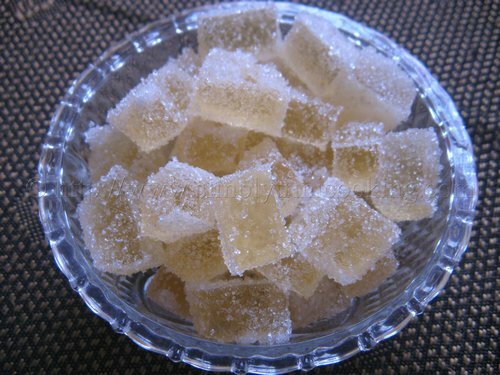 Then cut and roll the gelatin blocks in sugar. That’s it for this post. If you enjoyed this post you may also check my Sorrel Flavored Gelatin. There are many other flavours you can try when you are making your jub jub, tell us about your ideas in the comment box below. Does this have to be refrigerated for storage? 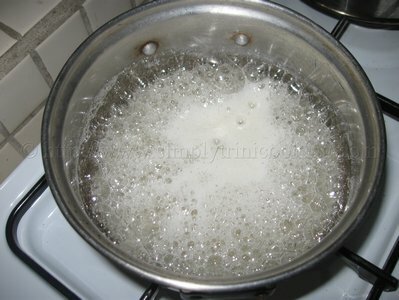 Also, boiling it until it forms threads–as in the thread stage in candy making where the threads are formed when dropped in water and then harden? Or does it just form threads when you pull your spoon out of the mixture? Sorry, looks wonderful, I just don’t want to screw it up. Thanks for sharing!! I would prefer to put mine in the refrigerator for storage, to keep the jub jub longer. 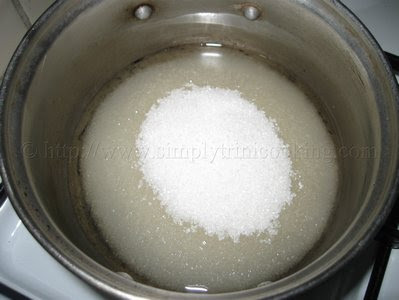 Secondly, the gelatin helps the mixture form threads. You don’t have to drop it in water. 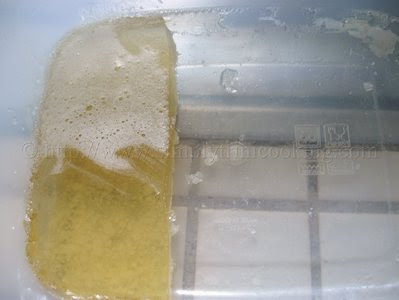 Just make sure you put the amount of gelatin as stated in the recipe, anything less could make it end up like jello. Just be alert. 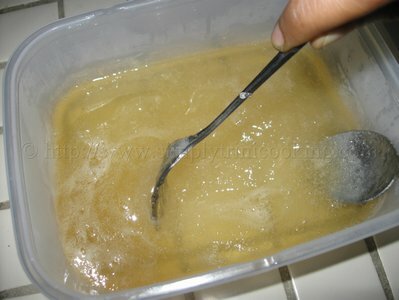 The mixture do get very stiff and you will know when it needs to be removed. As soon as the long threads form remove and place it in the dish to cool. Good luck.